Eliza is still riding high on the revelation that she has feelings for Henry. She discloses this to Chramonique, who remains skeptical of a potential pairing between the two. Henry decides to report the incident to Raj in HR just so that there's full disclosure, and not to get her in trouble. Raj then offers up a sexual claims form for Henry and Eliza to fill out. Saperstein is the one who will have final say in whether or not approval is given for them to "bump uglies." Saperstein announces that it's time for the annual Kindercare karaoke party and everyone must begin preparing their songs/duets. Eliza is determined to lock Henry down as a duet partner but he is avoiding her. Saperstein also tells everyone that performance is mandatory and that he has dibs on "Wishing Well," the song he performs every year. Eliza has a run-in with Freddy, who isn't handling their break-up so well. He is desperate to get her back, even if it's just in a purely sexual manner but Eliza turns him down. Eliza confronts Henry about his avoiding her and admits that she has "accidentally fallen in love" with him and Henry says he needs time to figure out his feelings, so Eliza leaves to let him sort it out. Charmonique offers up advice to Eliza that she burn Henry's house down and Brynn interrupts to say that this is a terrible idea. After Charmonique and Brynn end up in a fight, three times, Eliza must set out and figure things out on her own. Henry admits to Raj that he is very conflicted about his feelings. He feels that Julia is the safe option, the one he has been doing his whole life, but now he may have grown to love the riskier option, Eliza. He decides that he's going to go for it, as he wouldn't be able to forgive himself if he didn't at least try. But he once again becomes indecisive and insecure after talking with Freddy, as he begins to believe that perhaps Eliza will back out if he puts himself out there. Eliza shows up to the karaoke party without even bothering to glam herself up, caring more about knowing how Henry feels than what she looks like. Henry tries to claim that these feelings she's professing are actually about Freddy and that she just sabotaged her relationship with him because she was scared of being in a relationship. Eliza berates him for running away from his feelings and the fact that he's terrified of feeling something he can't control. Unfortunately, Juliet overhears the conversation just as Eliza storms off in tears. A drunken Eliza won't listen and Henry tells her that he has to go downstairs since Juliet is waiting for him. Eliza goes on stage and sings Sia's "Chandelier," after which she carries on through the party drinking her sorrows away. She ends up going back to Freddie's place and hooking up with him. Henry ignores a call from Juliet, who leaves a voicemail breaking up with him. Saperstein sits with Henry and notes how he never got up to sing a song, which he reminds him is mandatory. Henry gets up and sings an acapella version of Cat Stevens' "Wild World," to a nearly empty room, seemingly realising his feelings and how he has made a mess of things with Eliza. 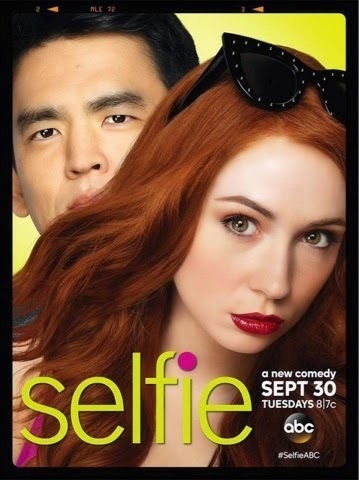 Selfie airs on Tuesdays on Hulu Plus.